Statue of Saint Raphael of 47 cm. 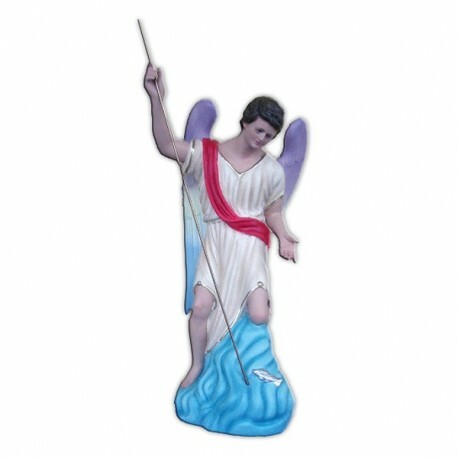 Saint Raphael the Archangel is commemorated on the 29th of September. 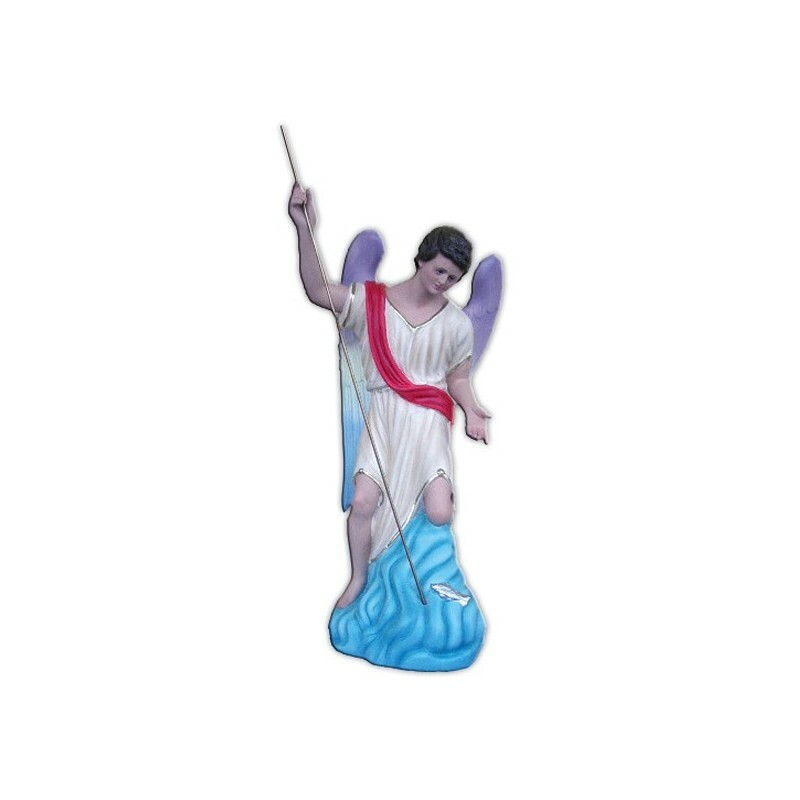 He is one of the three angels that the Church liturgically venerates and he is one of the “seven angels which stay in front of the God’s throne”. His name means “the divine healer”. His actions in favour of the human beings are described in the Tobia’s book. He is identified as the angel of the Betesda’s pool, near the Door of the Sheeps. He is often illustrated a san archangel or as a youth who brings a walking stick or a fish, who walks on the side of Tobia or who is taking a bottle. He is considered the patron of the blinds.